Goals worth hitting are goals worth getting. If your goal is a good goal (virtuous, healthy, etc. ), then it is worth persevering until you hit it. Obviously, the opposite is true. If it is a selfish goal, let it go. 8 years ago I decided to run a marathon. I nearly died, but I finished with a 4 hour and 44 minute time (4:44). I then decided that I wanted to qualify for the Boston Marathon, but I knew that running under 4 hours was the next step. The next year, I ran in the 4:20’s. And finally, on my third try, I learned better training and ran a 3:57. I was close to the Boston Marathon, right? Nope. With my age, I needed to run in the 3:20’s. Another 37 mins? That’s crazy. 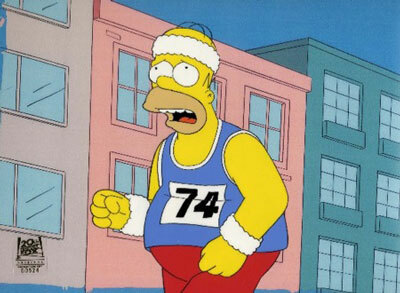 But the goal was good and my love of running was strong. It was worth hitting. Then there was one big problem. The following two years, my body was racked with seizures. I went from marathons to barely being able to run 3 miles. When I finally completed another 26.2, I barely ran under 5 hours. 5 hours. But the goal was good, and my love was strong. Now, I’m closer than ever. I only need to shave 9 minutes from my best marathon to qualify for Boston. I’ve gotten close, and I will give it another shot later this year. Is it a good goal? Whatever the case, don’t give up. If you love what you want, then you will persevere to the good goal, even when it is hard. Even when there are setbacks. Even when there are heartbreaks. Even when there are seizures. And one last thing: Loving a good goal means learning how to do it well. Find out as much as you can about how to reach that goal. That will engender a greater love and greater hope. So, get out there on those goals. If you don’t have a big goal, find one. 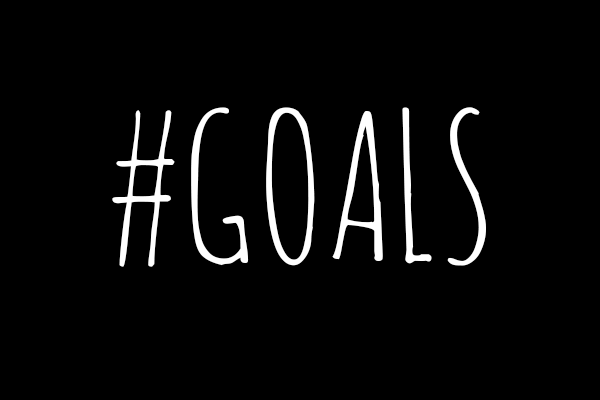 You need goals in life to help you have purpose. Those goals can be spiritual, physical, whatever. But make the goal tangible and quantifiable, that way you will know how you are doing and when you hit it. After posting my early morning runs on Twitter, a bot found me from Twunlog. Twunlog is a Twitter based running blog that can be updated via Tweets (obviously) or manually on the computer. After seeing its capabilities, I signed up and I like it so far. Have any of you other runners interacted with Twunlog? Please let me know. Thanks for the feedback. I typically have the pleasure of making my long training runs with my buddy who is also prepping for a marathon. However, this past Saturday, with so much travel going on, I had to run 12 miles alone. I headed out around 5:30am, so a good bit of my run was before the sun was up. On our runs, we typically catch this one dead end road which gives us 1 mile without the worry of oncoming cars. This dead-end also has no houses, so it is a quite dark half mile down and half mile back. I entered the road enjoying a good pace, and I was far enough on the run where most of my early pains were gone. I was feeling great, but I was also aware that I was running down a dark road completely alone. As I neared the dead end preparing to turn around, I noticed some lights bouncing off of the trees. I began looking around wondering if there was a car behind me or if a car from the Interstate down the road was somehow casting a light onto the trees. Then, I noticed that those weren’t car lights but a flashlight. A silhouette of a man stepped out of the woods within 10 feet from me. I couldn’t see his face. All I knew was that he was walking towards me with the flashlight. I had pretty much nothing to defend myself if he was going to be hostile. I’m not quite sure why I said what I did, but I practically yelled, “It’s me. I’m running and turning around,” hoping that he was as surprised to see me as I was him. I didn’t want to provoke him. So turn around is exactly what I did. Once I was headed back up the road, I took off. I had no desire to figure out why this guy was in the woods before sun up. I didn’t want to know if he was a hunter or anything else. I just wanted to make it safely home. I passed by the dead end road again on my route home but opted not to run down it, and I never saw the man again. The lesson learned was that when running alone, always run down places that are well lit and carry a cell phone. Oh yeah…I also learned that God is incredibly gracious and takes care of dumb runners like myself. This article also appears at the Raleigh Examiner. Read it there and help me earn a penny.